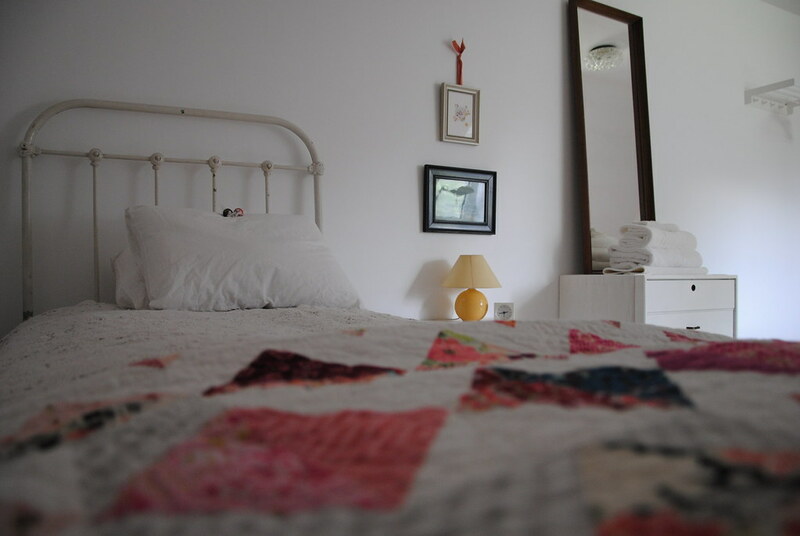 We have three rooms: two single-occupancy rooms with single beds, one single-occupancy room with a double bed. Each room has a desk, a reading chair, a rug or rugs, a chair for use at the desk, a desk lamp, overhead lighting, and a bookshelf. Rooms have natural daylight via large windows. Each room has a lock. Windows and skylights have shades or curtains which can be pulled to darken the rooms. Artists have access to our studio, in an outbuilding connected to the house. We also have outdoor locations that can be arranged to suit your practice. Light cleaning is done once a week. 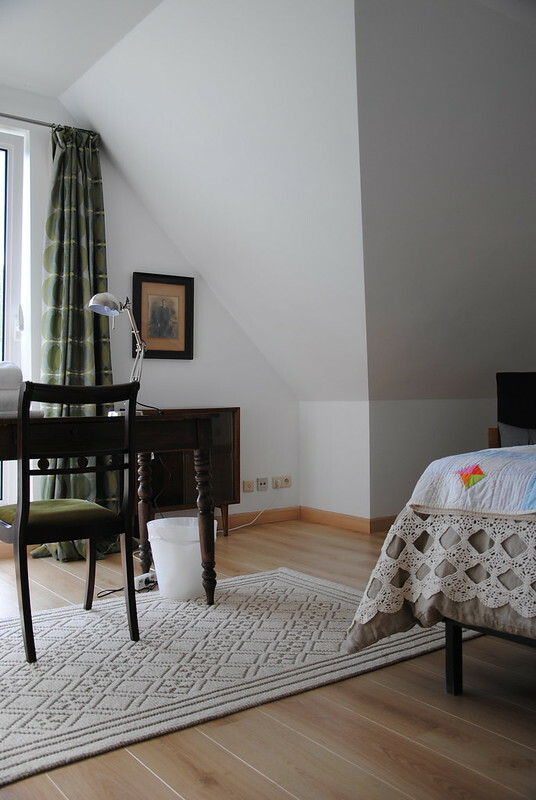 Linen, including towels, is provided and can be exchanged for fresh linen once per two-week stay. Residents have access to a shared toilet and bathroom with bath and shower. 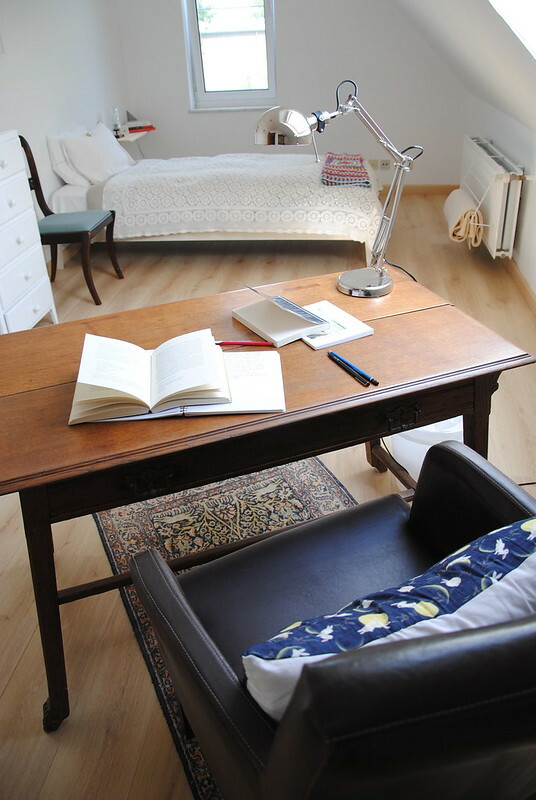 There is a quiet reading area on our upper floor, in the residency room area, where residents are welcome to sit, and we offer a lending library and reference books. Wifi is available throughout the house.